Traditional query optimizers produce a fixed query evaluation plan based on assumptions about data distribution and processor workloads. However, these assumptions may not hold at query execution time. 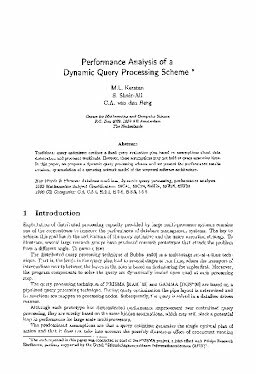 In this paper, we propose a dynamic query processing scheme and we present the performance results obtained by simulation of a queueing network model of the proposed software architecture.